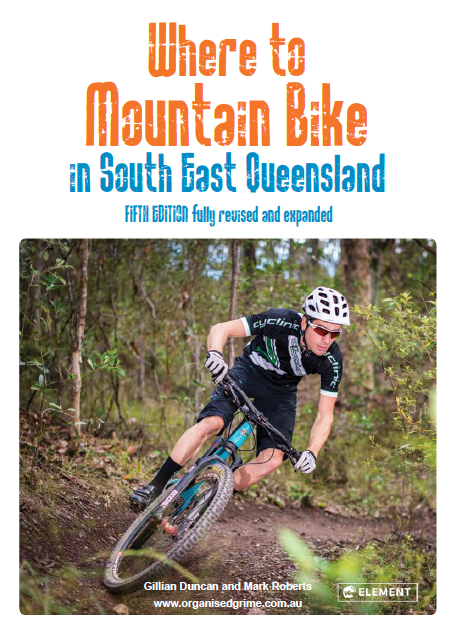 A book of detailed topographic maps of recreational trails suitable for riding your mountain bike, very thoroughly covering South East Queensland and a slice of Northern NSW. This is the Fifth Edition; 13,000 copies of earlier editions have been purchased so far, making this a local bestseller. The book is A4 in size and spiral bound to lie flat in a photocopier. The Somerset Region chapter is also available as a separate Brisbane Valley Rail Trail Guide. What's new in the Fifth Edition? What trails are in the book?